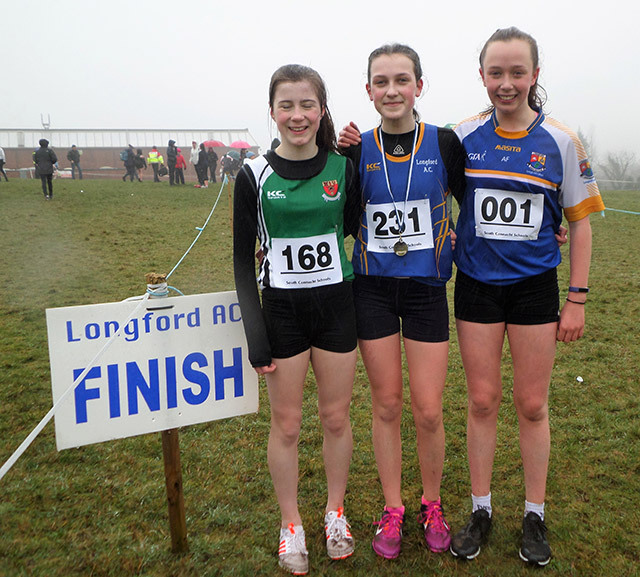 The North Connacht Secondary Schools Cross Country was held in very challenging cold and wet conditions last Sunday on the grounds of Moyne Community School. Entries for the Provincial school qualifier appeared well down since the event was held outside school hours. Only the heartiest runners came to the starting line to secure their place going forward for the Connacht Schools finals that will be held later this month in Loughrea, Co. Galway. Minor Girls U14 1500m: Caoimhe Crossan, Cnoc Mhuire, Granard; Amy Finnegan, Longford Convent; Kaela Brady, Moyne Community School. Minor Boys U14 2000m; Nathan Maher, Moyne Community School. Junior Girls U15 1500m: Kate Hagan- 1st place, Moyne Community School; Siog Reilly, Moyne Community School; Aisling Lane, Mercy Ballymahon. Junior Boys U15 2500m James Miney, Moyne Community School. 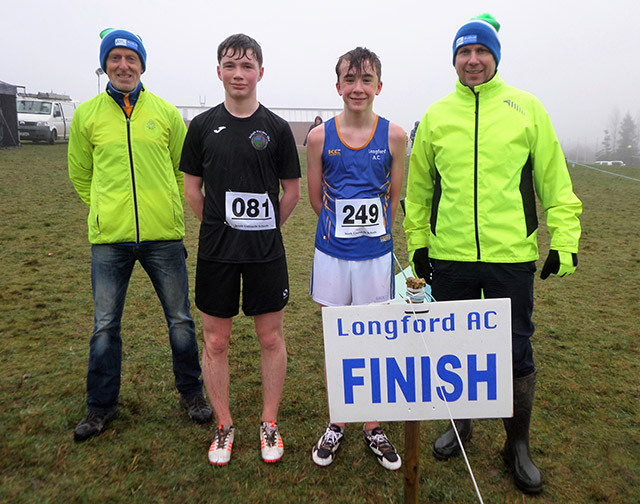 Inter Boys U17 4K: Jack Gallagher, Mercy Ballymahon; Aidan O’Boyle, St. Mel’s College. 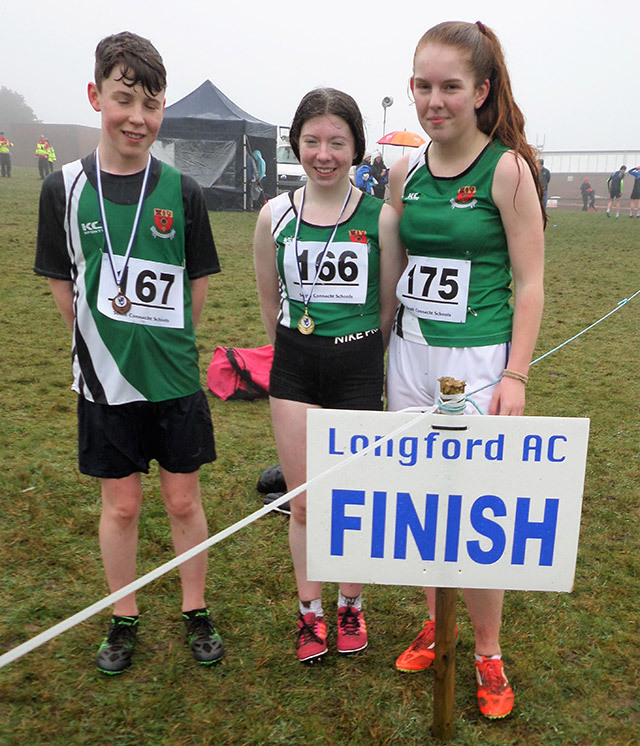 Jack Gallagher, Mercy Ballymahon and Aidan O’Boyle, St Mel’s College, Longford pictured after they crossed the finish line. Well known Longford Athletics Club members Michael O’Hara and Sean Crossan were on duty as Race Officials. View aerial footage from the North Connaught Secondary Schools Cross Country held in Moyne Community School last Sunday.